When Do Mosquitoes Come Out & Become Most Active? ​​When Do Mosquitoes Come Out & When Are They Most Active? Mosquitoes are more than just a nuisance in many parts of the world. Not only do they have irritating bites, but these insects can also carry dangerous diseases such as yellow fever, West Nile virus, and malaria. All of which makes taking the necessary steps to avoid mosquito bites an important consideration. Obviously, one of the best ways to avoid mosquitoes is to limit time spent outdoors when they are most active. This means understanding when mosquito season is in your state, as well as the time of day you are likely to be on the menu. This article takes a closer look at the behavior of mosquitoes, so you can be better prepared to avoid them. What Time of Day Are Mosquitoes Usually Most Active? Why Are Mosquitoes Most Active at These Times? Will Mosquitoes Come out at All Times of the Day? Do Mosquitoes Still Come Out Through Winter? There are close to 176 mosquito species in the U.S. Each species has differing habits and activity levels. Some breeds are quite active during the day, while others prefer during the night. The majority of mosquito groups are usually quite active during dusk or dawn hours. If you go outside at dusk, especially in shady, wooded areas or near swamps/bogs of water - you will need extra protection against mosquito bites. Using a strong DEET based repellent is the best way to fend off mosquitoes in these infested conditions. Among the most common species of mosquitoes in the U.S, are the Asian tiger (scientifically known as the Aedes aegypti) and the common house mosquito (also called the Culex pipiens). The Aedes aegypti mosquito often bites during the day. On the other hand, the Culex pipiens species often bite during the evening, or a few hours in the night. The Asian tigers are the main offenders for bites during the afternoon and in the morning. All mosquito species are, however, unlikely to bite during the middle part of the day. This is because it is usually the hottest time, with the most direct sunlight. Exposure to these intense conditions can dehydrate their bodies, jeopardizing their survival. For this reason, mosquitoes will hide away during midday hours. The only exception to this rule will be if a mosquito has found its way indoors. Inside the home, they are protected from direct heat and sunlight, so may bite at any time; listen out for that buzzing in your ear. Mosquitoes are crepuscular. This means that they are generally the most active during dusk and dawn. Mosquitoes like to be warm, but also avoid high heat and direct sunlight. If they are exposed to direct sunlight for too long, they can overheat and die from dehydration. Polarized light and reduced wind speeds during early morning or evening trigger mosquito activity. Polarized and UV light is more predominant during the dusk and dawn hours of the day. Mosquitoes are therefore naturally​​​​ attracted to UV light, which is why it is used in bug-zapping devices. Even though dawn mosquito activity is brief, since heat and light increase as the day advances, dusk activity is prolonged into the night. Increased humidity levels during the night increase the efficiency of the mosquito’s thermal and odor receptors. These are crucial for locating prey. During the daytime, mosquito thermal receptors can detect possible victims from about three meters away. This efficiency is tripled during a warm humid night. Mosquitoes, just like other insects, have an internal body clock. They have a cluster of cells in their nervous systems, that enable them to sense time through external signals. For many years, people simply believed it was an internal instinct that woke mosquitoes up at the right time. The time of day that a mosquito will emerge from hiding depends upon the species. Dawn, dusk and into the night are the preferred feeding times for Anopheles mosquitoes. On the other hand, Aegypti mosquitoes are ‘day-biters’. They will only be active for a short time after sunset before hiding again until dawn. Aegypti mosquitoes are one of the more troublesome breeds. They are a large, quite aggressive, species and are prevalent in the southern U.S.
As they will willingly hunt during the daytime, they are usually the ones responsible for most bites. People are generally not prepared for mosquitoes through the day, so leave themselves unprotected. Whether or not you need to worry about mosquitoes depends upon the ‘season’ in your locality. Different parts of the U.S will experience increased mosquito activity at varying times of the year. Mosquito activity directly correlates with temperature. Therefore, mosquito season starts when temperatures rise to more than 50 degrees Fahrenheit regularly. This means that, for many states, mosquitoes will begin to emerge from February or March. However, cooler areas may not reach the desired temperature until June. Warmer states can see mosquito activity all year round. Southern Florida has one of the earliest mosquito seasons. Generally, Florida will start to see mosquito activity from the beginning of February. This is due to the moist, warm and humid environment throughout the state. Overall, for a country as large as the U.S., it is impossible to pin down one specific mosquito season. If you are unsure when mosquito season is where you live, there is a handy map which provides information regarding mosquito seasons in your state. There are some habitats in which mosquitoes really thrive. In these places, you may be bitten at any time of day, due to the accumulation of different species. If you live near a swampy area, river or stream, you are more at risk. Farmland can also harbor mosquitoes, due to the irrigation ditches and potential for standing water. All these areas will have a much larger mosquito population, which will affect the level of activity during the day. During the summer along the Gulf Coast, when heading outdoors, you will likely return home with a few mosquito bites. As the seasons move towards winter and fall, insects like mosquitoes gradually disappear. People usually assume that mosquitoes simply die; this is, however, not the case. As cold-blooded creatures, mosquitoes are happiest at temperatures above 80 degrees. They require at least 50 degrees before they will become active at all. If the temperature drops below this level, mosquitoes can ‘shut-down’ over winter. This state of hibernation is known as ‘diapause’. It is only female mosquitoes which are capable of doing this. Male mosquitoes will die once the temperature drops too low. For a mosquito to survive winter, the female mosquito will fatten up before going into a dormant state. She will often gain as much as 10 times her weight in preparation for diapause. Some adult female mosquitoes will find holes in which to hide while awaiting warmer weather. Others will lay their eggs in frozen water before they perish. Frozen eggs will stay viable until the temperature rises, when they can develop as normal. Even if the eggs have hatched into larvae before winter hits, they can still often survive. They will tuck themselves under layers of mud until the temperature increases. Of course, some states will remain above 50 degrees, even during the winter season. This means that mosquitoes will remain active in that region. If mosquitoes find their way into your house, they will still bite, even during winter. This happens because the temperature inside your house is controlled and suits their warmth-seeking preferences. For this reason, there is a risk that mosquitoes will move indoors once the conditions outside begin to cool. Inside your home, mosquitoes will find their way to moist, dark and warm places which have close access to water. Usually, they will congregate in bathrooms, laundry rooms and cupboards. During warm, humid evenings, every time you open your doors and windows there is a chance that mosquitoes will get into your home. These unwanted visitors could then stay put through winter. Changing your schedule because it is mosquito season shouldn’t be necessary. You can still enjoy the great outdoors, you will simply need to ensure that you take action to reduce the risk of bites. The vast majority of mosquitoes will be out and biting during dawn, dusk and into the early hours of the night. Other species are happy to be active for extended times during the day. However, all species will generally avoid midday hours, as these times are the hottest. As their preferred active times of day vary, finding out the most common species in your area is recommended. 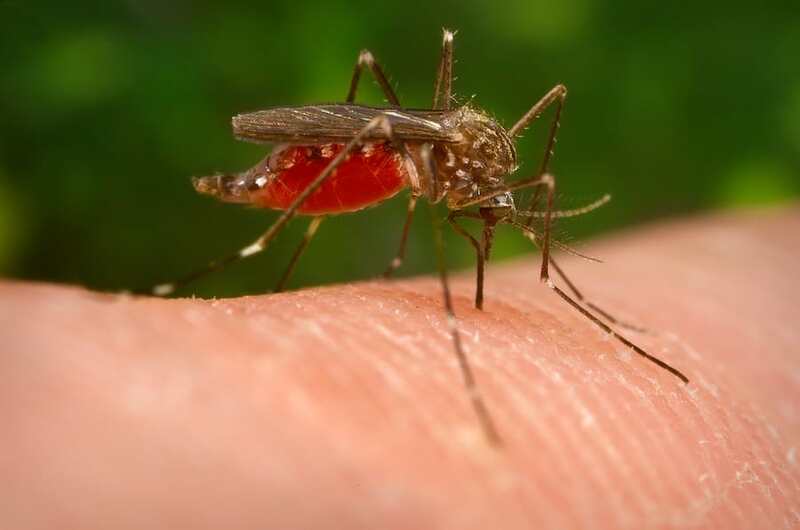 Taking precautions such as wearing long-sleeved clothing and using mosquito repellents will help you prevent bites. It is also useful to investigate the times of year that mosquitoes are most active in your state. All of these points will at least help you make sure you are not worrying unnecessarily.